As a professional Mortgage Broker and Past-Director with the Canadian Mortgage Brokers Association of British Columbia (CMBA-BC), I have built my career on three principles: Ethics, Honesty, and Integrity. Being a resident of the North Shore for over 30 years has provided me with a unique perspective on the residential mortgage market. 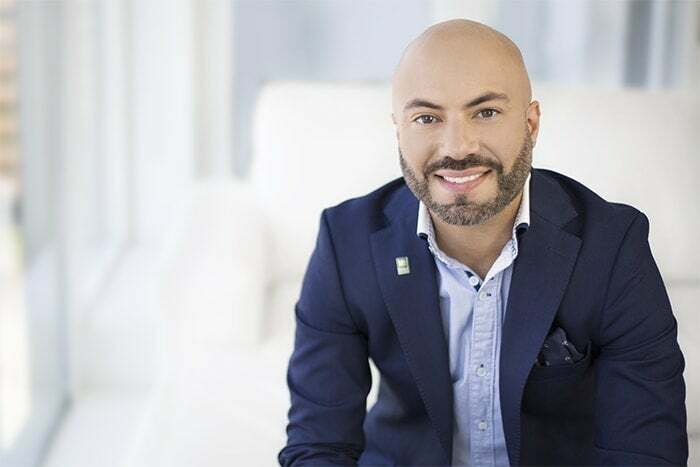 I have deep roots in the community and with over 15 years of mortgage lending, banking, and finance experience, my ability to work exclusively for my clients allows me to access over 50 of the top rated lenders across Canada. I feel fortunate to have lived on the North Shore since 1987. In my spare time you can usually find me outdoors taking advantage of all that B.C. has to offer. I have a deep passion for serving my community and have dedicated a lot of my personal life to giving back to this amazing place we all call home. I was the Founder and Past-President of a registered Canadian charity that helped feed and clothe over 10,000 people in Vancouver during its five years of operation; winning multiple awards along the way for its work in the community. I am also a past Director with Ruben’s Shoes, a registered Canadian charity helping to eradicate global poverty by giving children access to education. I'm so glad we connected with Reza for our second purchase! 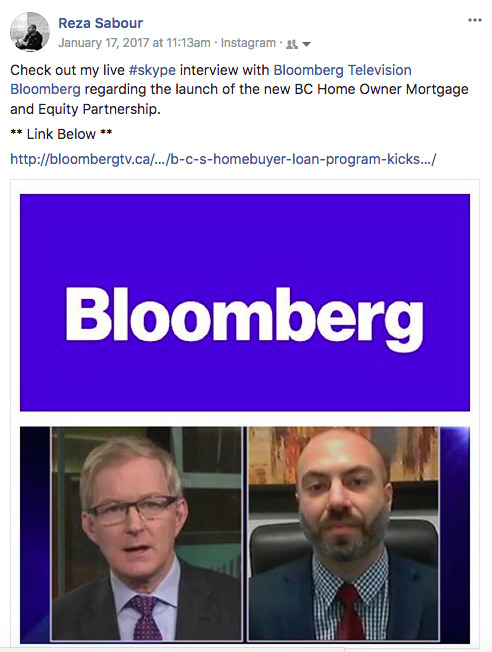 After working with Reza, I realized that mortgages don't need to be stressful or time consuming to sort out (our first one with a different broker definitely seemed that way). He made the process so easy, outlined all of our choices clearly, and treated us like family. I would not hesitate to recommend him to family and friends in need of a broker. Thank you, Reza! - Holly Choi, North Vancouver, BC. As first time home buyers we had a lot of questions and uncertainties, but Reza made the whole mortgage process painless. Truly appreciate the patience with which he worked with us, explaining all the options and helping us understand the best course for us. Highly, highly recommend! Thanks SO much Reza! Wow! We had the pleasure of working with Reza Sabour in the refinancing of our mortgage. From our initial meeting with him at our home through to the completion of the refinance, Reza was unfailingly friendly, helpful, and professional. In addition, he was quick to respond to our (many) questions, whether over the phone or on email, and walk us through complex details in a clear and easy-to-understand manner. Refinancing was new to us, so we appreciated all the help we could get. Reza made an otherwise daunting process much easier. If you're thinking about a mortgage, get in touch with Reza. You'll be very glad you did! From start to finish, Reza has been an absolute dream to work with. He is extremely knowledgeable about his field and knows what to ask you to achieve the best results for you. What can otherwise be a stressful time, Reza made this part of the purchasing process completely seamless and we have even referred him to a couple friends who are in the market to buy. We truly can't say enough good things about our experience with Reza and would recommend him if you're shopping around for a mortgage. Recent IGTV MORTGAGE STR8-TALK VLOGS!